The new paper describes how the research was extended to two more cities, Cincinnati, Ohio and Knoxville, Tennessee, to test whether the ants would respond in “parallel” to urban heat islands. The measurements: Urban ants were again more tolerant to heat but lost some of their tolerance to cold compared to their rural neighbors. 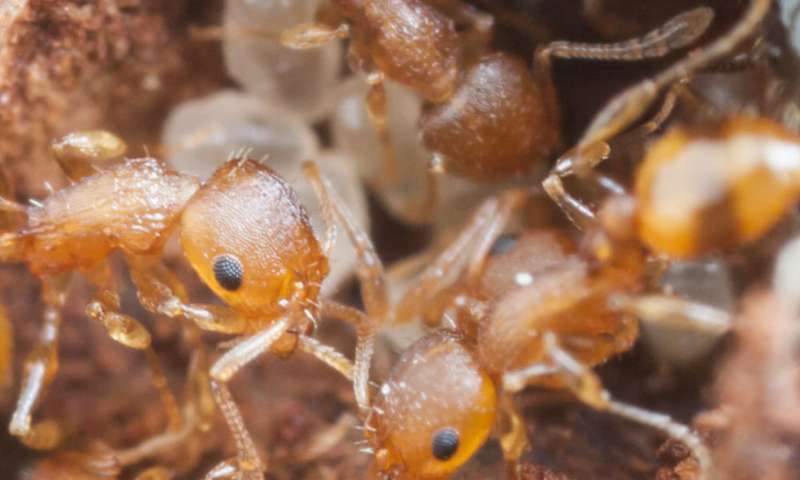 The researchers also found that urban ant populations produced more “sexual reproductives”—offspring who could, in turn, reproduce—under warmer laboratory rearing temperatures that mimicked their city habitats; rural populations produced fewer. In Cleveland and Knoxville, they did, but “Cincinnati is misbehaving,” Diamond said with a laugh, noting that the city ants there did not show the same degree of adaptability.